On Wednesday, Jan. 31 (that’s tomorrow) we’ve planned events throughout the day to bring attention the corrosive effects of Hazelwood v. Kuhlmeier (1988). This month marks the 30th anniversary of the Supreme Court decision, which gives public schools the right to censor student publications. Now, more than ever, we need a coordinated effort to protect student journalists’ rights. 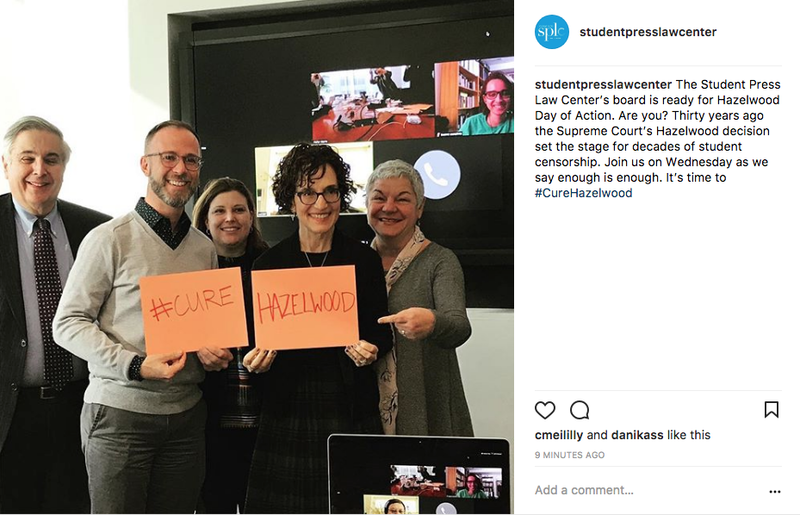 Posted in First Amendment and tagged #CureHazelwood, Frank LoMonte, Hazelwood, Hazelwood v. Kuhlmeier, Mark Goodman, Mike Hiestand, SPLC, Student Press Law Center. Bookmark the permalink.